Delta County and Cedaredge Information. 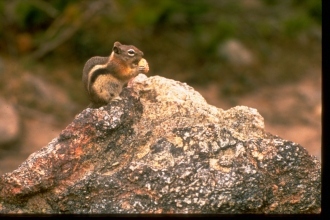 Marsha Bryan with in Cedaredge, Colorado. This beautiful view is part of the Elk Mountain range North East of Paonia. 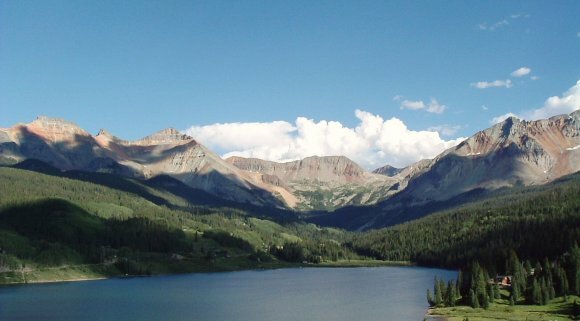 Hunting, fishing, mountain climbing, Four wheeling, or just setting and taking it all in, Western Colorado is the place! 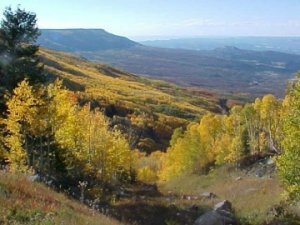 The Grand Mesa is 10,000 feet high and thirty miles long, making it a year-round playground for nordic and downhill skiing, snowshoeing, snowmobiling, hiking, mountain biking, camping or fly fishing in one of 300 lakes. The Grand Mesa is a pristine secret compared to many other National Parks in Colorado. Long time residents of our area of Colorado call the Surface Creek Valley "The Banana Belt." This Mountain Valley Paradise derives its reputation from the mild weather in the area. Old Papa Sun is a regular here, creating an area ideal for the Agricultural and Fruit industries. 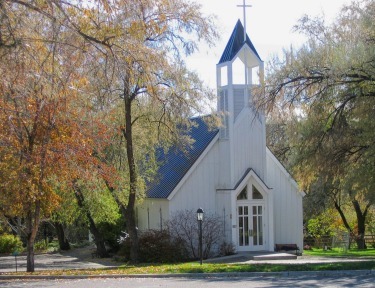 The Cedaredge and Eckert areas of the Surface Creek Valley are home to beautiful Horse Ranches, Mini-Farms and Orchards full of Apples, Peaches, Apricots, Cherries and Pears. The lower Gunnison Valley areas around Delta and Montrose are home to row crops of Onions, Beans, and, of late, Lettuce, Broccoli and Cauliflower. The Town of Olathe is home to "Olathe Sweet Corn" considered to be one of the premier eating corns in the USA. 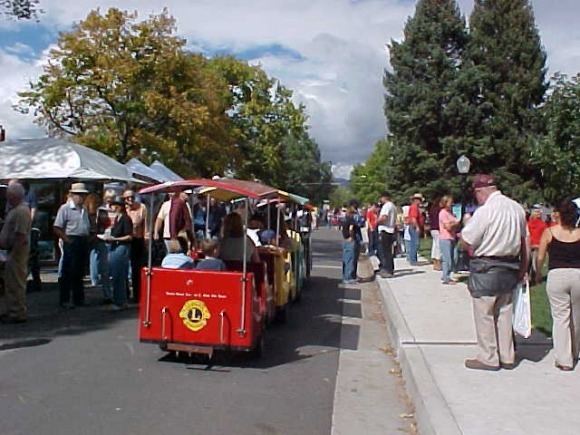 Truly, Delta County is Colorado's Farmers Market and is becoming a "Foodie" known area. In the last decade an exciting new crop has made inroads into the area, wine grapes, which find the climate here "just right." Wines with the Cedaredge label are starting to show up around the country. 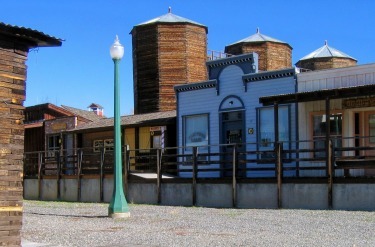 Some of the local wineries in the immediate area are Stoney Mesa, Surface Creek, Jack Rabbit Hill and Leroux Creek Vineyards. North from the Cedaredge, it's "uphill." 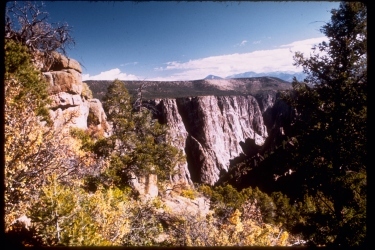 The Grand Mesa overlooks the Surface Creek Valley. The World's largest flat top mountain, at a little over 10,000 feet high and 30 miles long, is truly a treasure. Hundreds of Trout-filled lakes dot the top of "The Mesa." This Mountain was called "Thunder Mountain" by the Mountain Ute Indians, due to the daily brief rain storms passing over the mountain in the summer time. The winter season finds the top of the Mesa a Sportsman's Paradise, with Powderhorn Ski Resort, along with hundreds of miles of snowmobile and cross country ski trails, in 10 to 15 feet of snow. Just 20 minutes drive down to Cedaredge, at an elevation of 6200 feet, the few snow storms we have a year are usually melted by noon the next day as we are somewhat of a banana belt in the mountains. 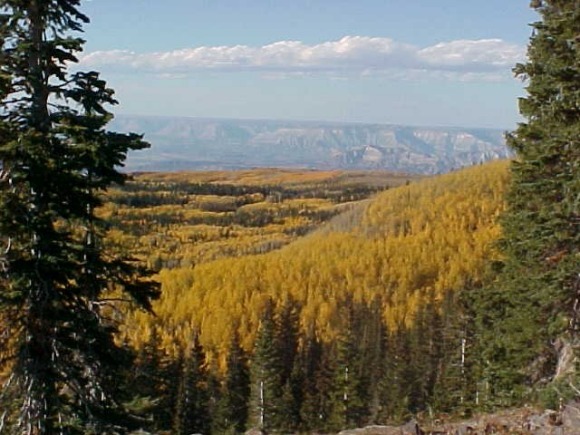 The mild climate of Cedaredge, due to its ideal location on the Sunny South Slope of the Grand Mesa, will see 15 to 30 inches of snow a year, with an annual rainfall of 5 to 8 inches. The Surface Creek Valley is only about an hour from Grand Junction which has major shopping, restaurants, and a regional airport and 40 minutes away from the City of Montrose with a regional airport. 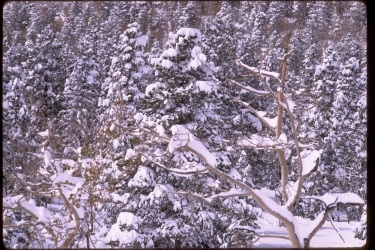 The Telluride Ski Area is less than 2 hours away. Delta is 15 minutes away with shopping (Safeway, City Market and Walmart) and a hospital. Cedaredge has a great quality of life. Stats are late 2007 & 2008. On a 1-100 scale (100 the best) the air is rated 66 (US average 48), water 101 (US average 55), Comfort Index: "On average, there are 239 sunny days per year in Cedaredge, CO. The July high is around 88 degrees. The January low is 15. Our comfort index, which is based on humidity during the hot months, is a 85 out of 100, where higher is more comfortable. The US average on the comfort index is 44." In Cedaredge, violent crime 1, property crime 2 (US average 3 for both). Cost of Living is 103 (US average 100). Slightly higher than the US average, but considerably lower than most Colorado mountain communities. 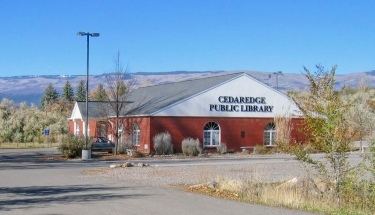 Cedaredge is a wonderful and safe place to live on the Colorado western slope and if you are lucky enough to find it in your future travels, you will have found a small paradise close to the mountains and canyonlands. Unlimited hiking, fishing and winter recreational opportunities nearby. Miles of paved roads with no traffic for your road bike or bicycle. A place of wineries, orchards and views. A community that is friendly and caring. A perfect place with a relaxing lifestyle at an altitude of 6100. Off the beaten track (we have one stoplight!) yet less than an hour to major shopping, hospitals and airports in Montrose and Grand Junction. 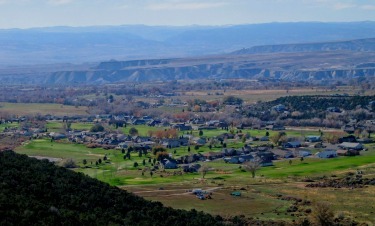 A perfect place for a lifestyle move or retirement on the Western Slope of Colorado. 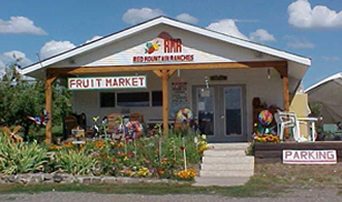 A local fruit grower's charming country store. 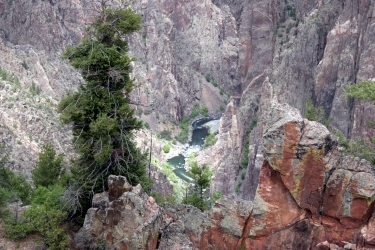 Another view of the Gunnison River a 1000 feet deep in the Black Canyon National Monument. Other photos of the Grand Mesa. 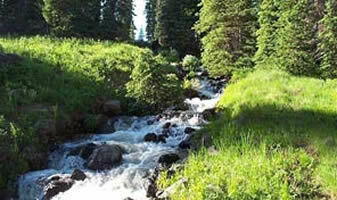 A stream on Grand Mesa. Views on the north side of the Grand Mesa. 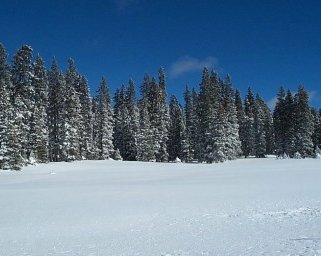 Wintertime	on	the	Grand	Mesa. 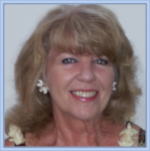 When I help you buy or sell your home, you get a Lifetime Real Estate Counseling. Consider me your personal Real Estate Counselor, serving your Cedaredge and Delta County Real Estate needs for a lifetime." Copyright© 1999-2009 Marsha Bryan. All Rights Reserved.